Stroll through the salt marshes and watch birds and plants! Continue on the mud flats and get to know tideways and tidal creeks! Look for shells with the children! 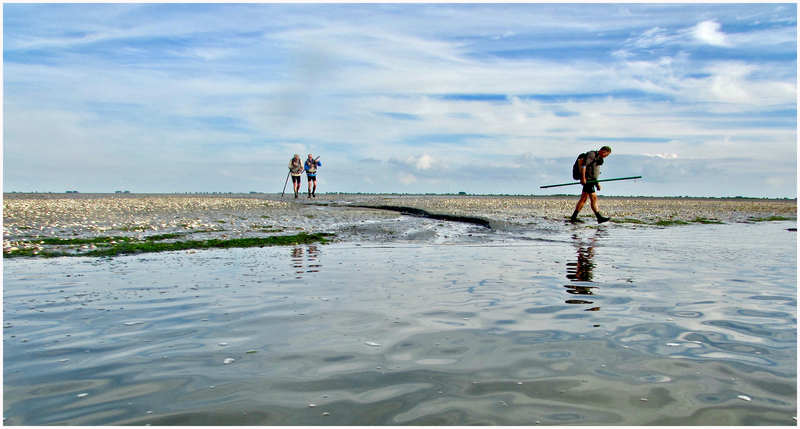 Go to discover unknown parts of the Wadden area! These experiences can be offered along the entire Wadden coast in Friesland and Groningen. The hiking tours vary in distance and heaviness, usually lasting between 1.5 and 4 hours according to your liking. Such a coastal tour is a good preparation for a future crossing from mainland to island. The price is € 12.50 per person; additional agreements apply to customized tours by appointment. Hoek van de Bant: from Groningen to Friesland, on the coast-road N361, past the locks of Lauwersoog, the "Lioessens" parking-vieuwpoint is on your right.